Linnea Viola (Johnson) Ellanson, 91, of Glencoe, died Monday, April 24, 2017, at her home. Casket bearers were Nathan Fink, Jason Belz, Luke Ellanson, Tyler Carlson and Donovan Haugen. Interment was in Linden Lutheran Cemetery in Hanska. Linnea Viola (Johnson) Ellanson was born June 30, 1925, in Long Lake Township, Watonwan County, the daughter of Carl and Axie (Sandberg) Johnson. She was baptized as an infant July 19, 1925, and was confirmed in her faith as a youth June 7, 1942, both at Kansas Lake Lutheran Church in Butterfield. She received her education in St. James and graduated from St. James High School. On July 10, 1946, she was united in marriage to Arthur Ellanson at Kansas Lake Lutheran Church in Butterfield. They made their home in Odin, Minnesota; Artesian, South Dakota; and Lake Crystal, St. Peter and Arlington. Then, in 1998, they moved to Glencoe. Their marriage was blessed with five children, Kathryn, John, Lowell, Linnea and Peter. They shared over 69 years of marriage. In addition to being a loving wife, mother and homemaker, Mrs. Ellanson helped her husband on the farm. 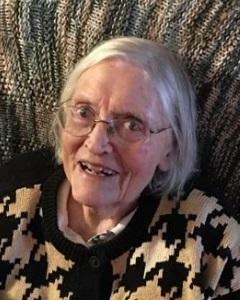 She was a member of Christ Lutheran Church in Glencoe, where she was very involved as a Sunday school superintendent and teacher, sang as a soloist in the church choir, played the organ and the piano, and quilted with the church women. She also played piano weekly for the Good Samaritan Home in Arlington. She enjoyed making clothing for others, quilting, sewing, playing the piano and singing. She treasured the times spent with her family and friends. She is survived by her husband, Arthur Ellanson of Glencoe; children and their spouses, Kathryn and Lonny Chrismon of Phelan, California, John and Ellen Ellanson of Apple Valley, Lowell and Lesa Ellanson of Greeley, Pennsylvania, Linnea and Allen Fink of Jordan and Peter and Cindy Ellanson of Glencoe; 22 grandchildren; 33 great-grandchildren; sisters-in-law, Lorraine Ellanson, Marion Johnson and Eunice Johnson; nieces, nephews, other relatives and friends.